We offer a range of holistic therapies from reiki please phone or pop in for more information. The practitioner will usually give a short explanation of what the treatment involves (if none is offered, don't be afraid to enquire). You may be asked some details, including a brief medical history. You will be asked to lie down (or sit if this is easier for you) but will not be asked to remove any clothing except for things which could restrict your breathing or comfort, such as shoes or spectacles. Reiki will go through clothing, blankets, or even a plaster cast if necessary! Treatment is given by the practitioner placing their hands gently on your body in a pre-determined sequence of hand positions, spending several minutes holding each position. These hand positions are non-intrusive and cover both the front and back of the body and are sometimes varied to give Reiki to areas where it is specifically needed. If you find any of the hand positions uncomfortable please tell the practitioner. The touch should be gentle, light and comfortable; there is no massage or manipulation. You may feel sensations such as heat, tingling, coolness or throbbing under the practitioners' hands or in other parts of your body, or you may feel very little. Many people experience a sense of well being and relaxation, or fall asleep; sometimes a treatment is energizing. There is no right or wrong way to experience Reiki. The treatment will normally last at least 1 hour. 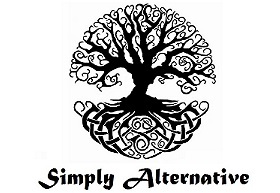 Bookings by appointment are available at Simply Alternative, 12 Victoria Passage, Stourbridge throughout the week.